Smoking: Nicotine constricts blood vessels and increases your risk of atherosclerosis and heart attack. Poor diet: Eating too much fat, salt, sugar, and cholesterol can contribute towards heart disease. High blood pressure: Chronic high blood pressure hardens, thickens, and narrows your blood vessels. 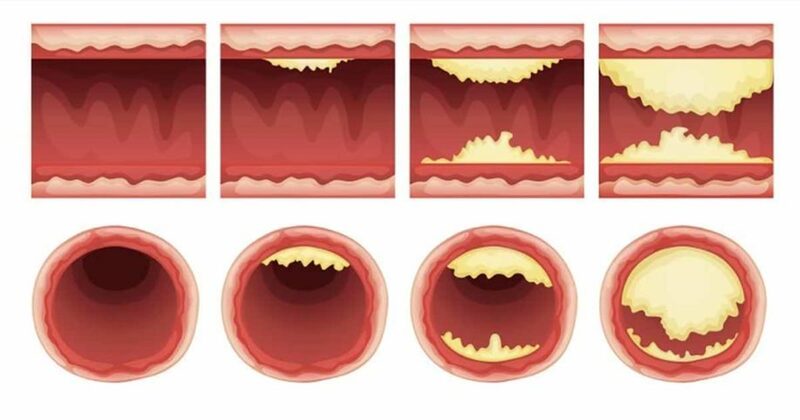 High cholesterol: High cholesterol leads to the formation of arterial plaque and atherosclerosis. Diabetes: Diabetes increases your risk of heart disease. Obesity: Excess weight can contribute towards other risk factors. Physical inactivity: Lack of exercise contributes towards other risk factors and can lead to a weak heart muscle. Stress: Chronic stress damages your blood vessels and heart, and negatively impacts heart health. Poor immune function: Some viral or bacterial infections can put you at risk of heart infections. Here are the heart healthy foods your body is begging you to eat! 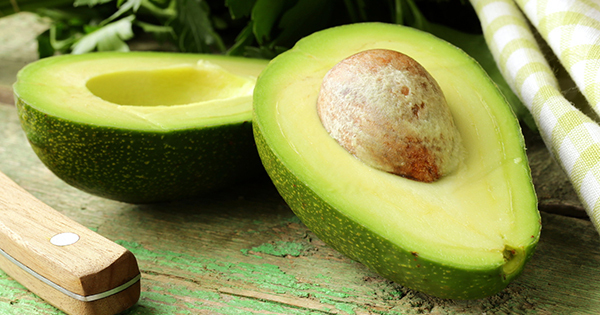 Avocado contains heart healthy fiber, vitamin B, vitamin C, potassium, and healthy fats. In fact, their monounsaturated fats lower cholesterol to improve heart disease risk factors (9). Plus, avocados are incredibly tasty and are great in homemade guacamole or desserts. You can also use avocado oil to make salad dressing. Blueberries are a tasty fruit that contains a ton of antioxidants. A 2013 study on women aged 25-42 found that eating 3 or more servings of blueberries and strawberries a week reduced heart disease risk by 32%. This is mainly due to anthocyanins and flavonoids that decrease blood pressure and dilate blood vessels (10). 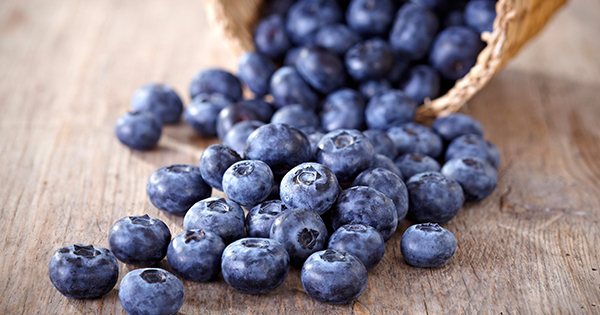 Blueberries are also rich in fiber, and the combination helps control cholesterol levels as well as plaque. 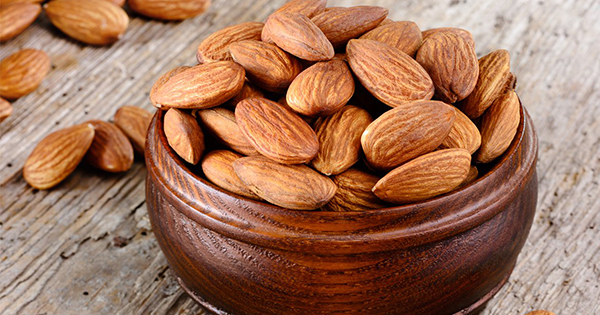 Almonds contain omega-3 fatty acids, fiber, antioxidants, monounsaturated and polyunsaturated fats, vitamin E, and magnesium, all of which protect your heart. In fact, nut consumption is positively associated with a lower risk of heart disease for both women and men. Nuts also lower your risk of gallstones and prevents diabetes in women (11). As with blueberries, you can eat them as an individual snack or mix them into yogurt. 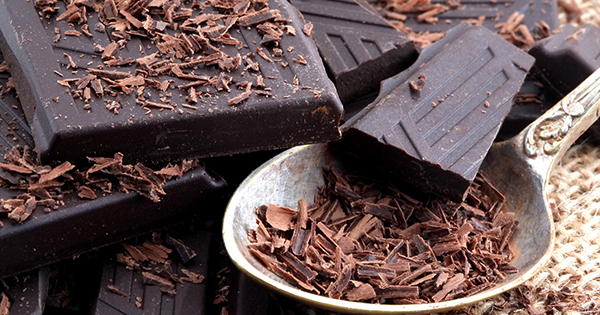 Dark chocolate is probably the tastiest heart healthy food you can find. It contains flavanols, which are an anti-inflammatory and help control blood pressure, clotting, and inflammation. It’s scientifically proven too: a 2012 study found that eating dark chocolate daily reduces the risk of nonfatal heart attack and stroke in high-risk individuals (12). In addition, dark chocolate will level out your cholesterol and blood sugar levels. You should choose a brand that has a cocoa content of 70% or more. Papaya is a delicious tropical fruit with vitamins C and A. It also contains high levels of fiber, folic acid, and potassium. Potassium is a crucial vitamin to reduce your risk of cardiovascular disease. The nutrients in papaya also help prevent diabetes, cancer, poor digestion, high blood glucose in diabetics, high blood pressure, and slow wound healing (13). 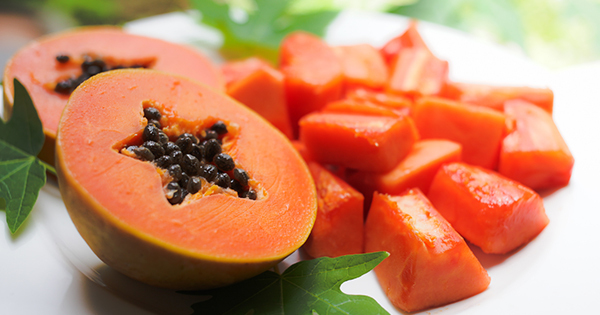 You can mix papaya into a healthy fruit salad or try creating papaya salsa. Not everyone likes sweet potatoes, but they are much more heart healthy than regular white potatoes. They contain vitamins A and C as well as fiber and potassium. 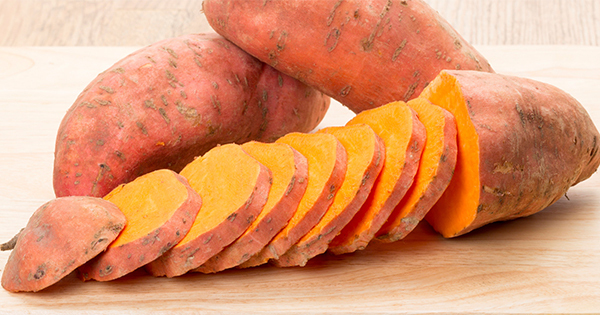 It’s estimated that less than 2% of US adult meet their daily potassium needs, so sweet potatoes really are worth the switch! Plus, they also contain choline, which helps to maintain the structure of cellular membranes, aids in the transmission of nerve impulses, assists in the absorption of fat, and reduces chronic inflammation (14).Try delicious baked sweet potato fries for a healthier alternative to regular French fries. 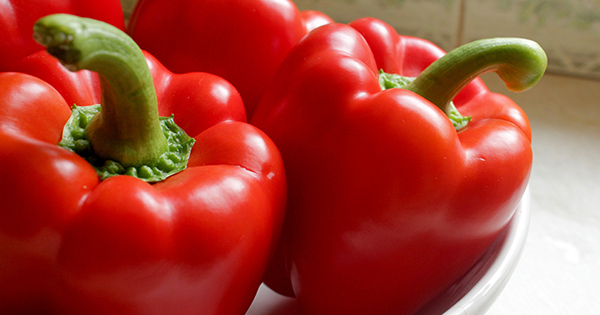 While all bell peppers have vitamins A and C, red bell peppers contain the most. They also have capsaicin, which improves cholesterol and blood flow. In fact, capsaicin prevents excessive blood clotting (15). You can use red bell peppers for grilling, stuffing, or in salads. 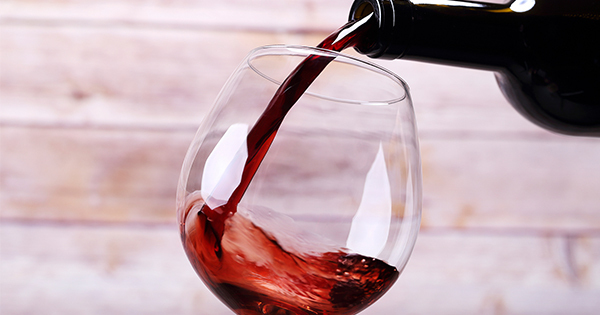 It’s not necessarily a food item, but red wine is very heart healthy. It is rich in resveratrol, which is an antioxidant that can help protect the lining of your heart’s blood vessels (16). Regularly drinking small amounts of wine can help condition your cardiovascular system to improve its adaptive stress response, forcing the expression of cardioprotective genes and proteins (17). It goes without saying that you should drink red wine in moderation.